What is a Month Widget and what is it used for? The Month Widget allows you to add a month view of a user or group calendar to a Page. Visiting user: Personalised to the user that is viewing the page. Select from list: Select a listed group calendar. By email: Choose a calendar by an email address. Event colour: Choose the colour of the events. 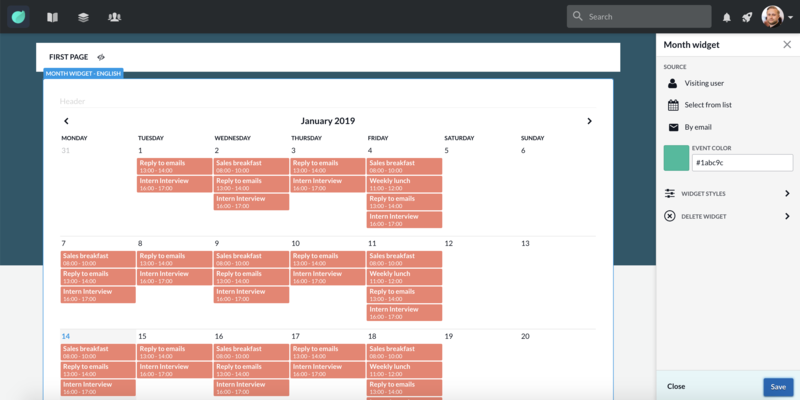 You can also choose a schedule view using the Month Widget.